In HaModia’s Pesach edition there was a special supplement called “Kids of Hope.” I had two articles in there. 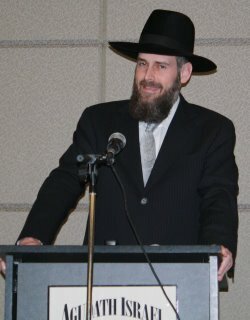 One was entitled, “Girls At Risk” and the other was “Internet Addiction.” The latter included interviews with Philip Rosenthal, a therapist in the field and an expert on cyberspace crime, and Rabbi Yosef Viener, who offers to have anyone who wants contact him to be their internet policeman, so to speak. Here is an excerpt from the Internet Addiction article, specifically the part involving Rabbi Viener and his offer. Rabbi Yosef Viener is a Posek, Halachah Columnist for HaModia and Rav of Kehillas Shaar Shamayim in Monsey, New York. As the first address for the community’s questions and concerns, every Rav is privy to things the average person has little or no idea about. Rabbi Viener not only fields shailos and hears peoples’ problems from his immediate community, but from many people all over the world. A first-year beis midrash yeshiva bochur I had never met called me up. He had been home for bein hazman and was about to go back to yeshiva. He asked me if he could come over. I said yes. He came into my study, sat in a chair and proceeded to cry for the next twenty-five minutes. I couldn’t even hear what he was saying. This entry was posted in Internet Addiction, Rabbi Viener and tagged filters, internet addiction, Rabbi Viener.